Cheddar Ranch Meatballs made with extra lean ground beef, Hidden Valley Ranch seasonings, gluten free breadcrumbs and shredded Cheddar cheese. For some reason, meatballs go over much better in my house than meatloaf. I’m not sure why because who doesn’t love a good meatloaf? 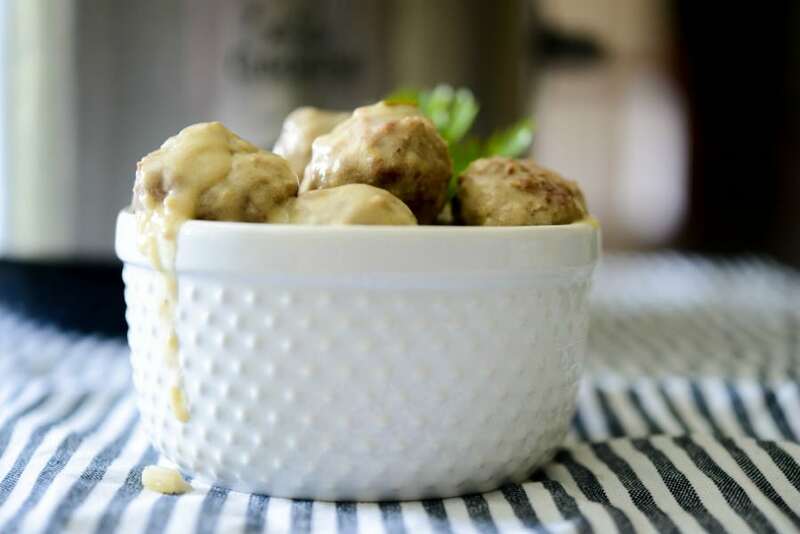 Well, apparently my youngest isn’t a huge fan so whenever I take out ground beef for dinner in the hopes of making a meatloaf, I usually change my mind and make it into meals like these Cheddar Ranch Meatballs instead. 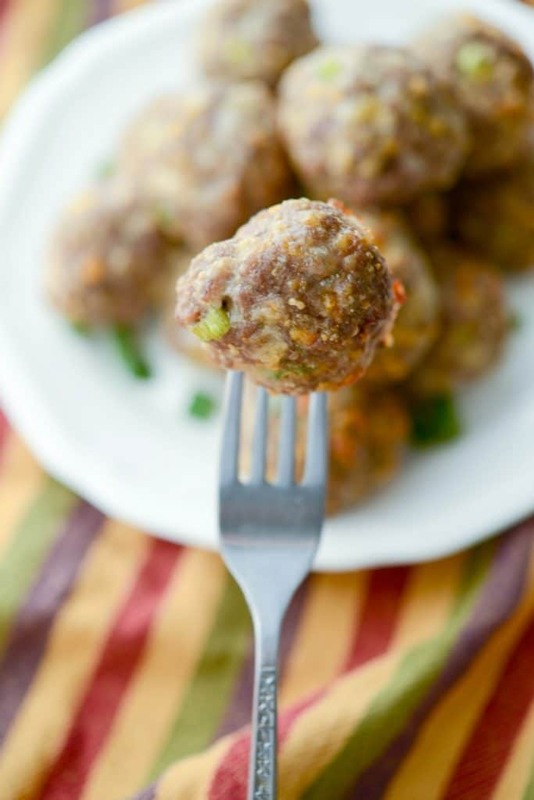 Besides being a different shape, meatballs in general take less time to cook, reheat well and are already portion sized; which is an added bonus. 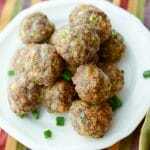 Just pop two or three in the oven or microwave, add a side and vegetable and dinner is served. Through the years, I’ve made a few recipes using the Hidden Valley Ranch Dressing Mix like Crispy Ranch Baked Chicken Thighs , Zesty Ranch Potato Salad and Ranch Fried Chicken, but never something with beef. I usually have a packet or two in my pantry for last minute recipes because you can just mix them with a little vinegar and it makes a great marinade. 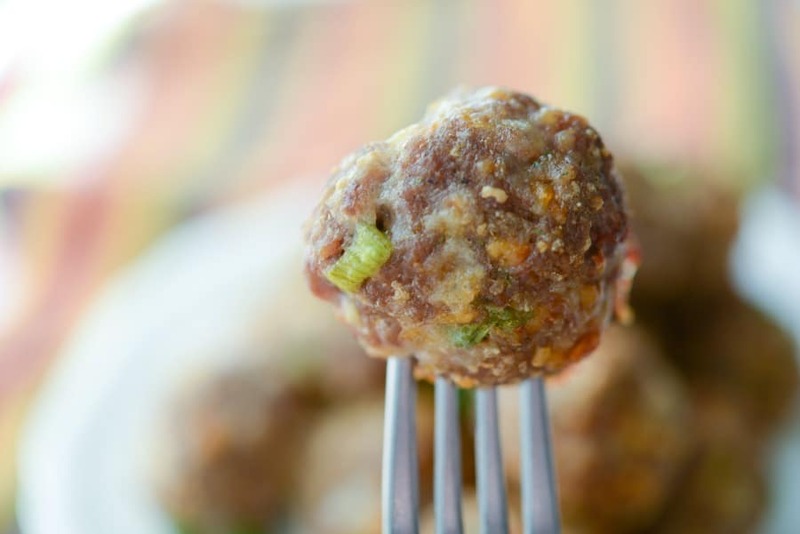 For this recipe, I used extra lean ground beef (90/10), but I’m sure you could use ground chicken or turkey in its place. You’ll also need an egg, one package of the Hidden Valley Ranch Dressing (or Dip) Mix (.4oz), chopped scallions, bread crumbs (I used Italian Flavored Gluten Free) and shredded Cheddar cheese (I used a triple Cheddar cheese blend). 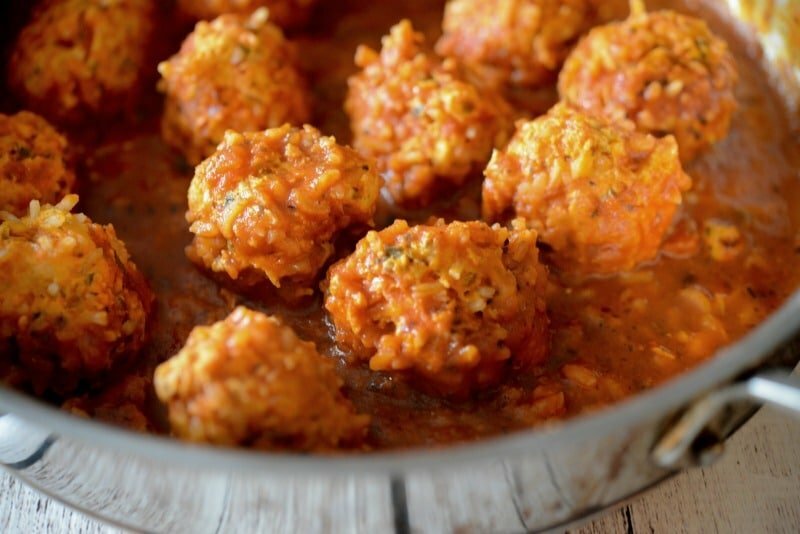 Combine all of the ingredients in a mixing bowl; then form 18 meatballs and line them on a non stick baking sheet or a pan lined with parchment paper. Bake in a 350 degree F oven for 30 minutes; then serve. 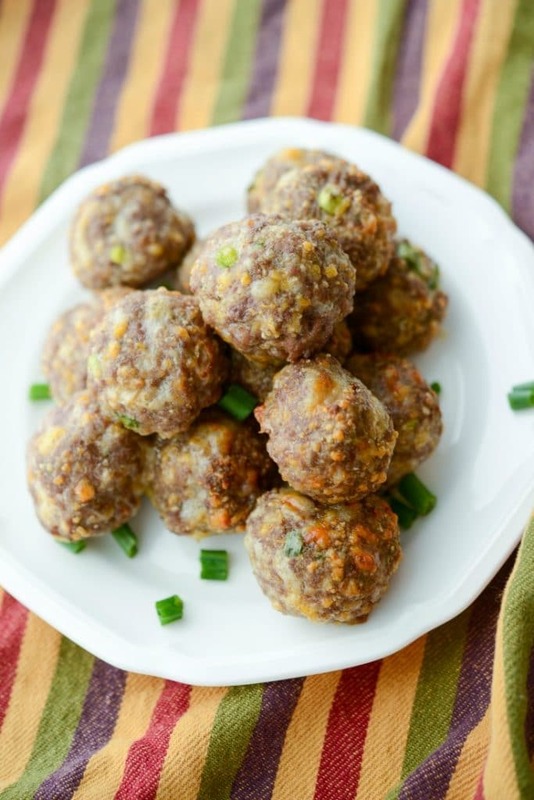 You can serve them with some mashed potatoes and green beans for dinner or you could also serve them as an appetizer with some regular creamy Ranch dressing in a bowl as a dip too. 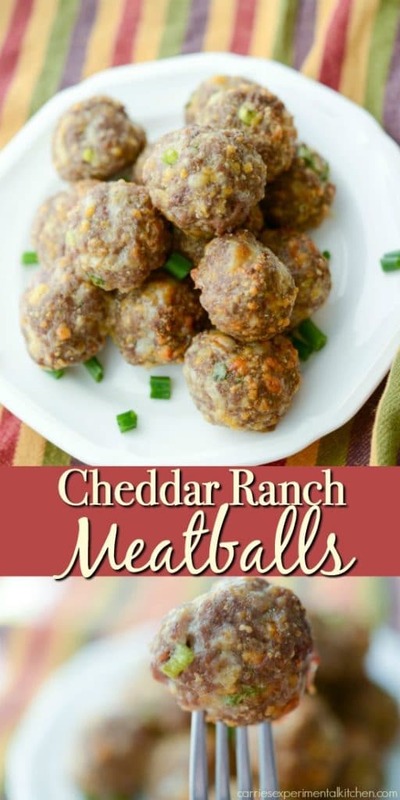 My family LOVED LOVED LOVED these Cheddar Ranch Meatballs! Seriously, they were gone in no time flat. We never even got around to eating them for dinner though. Instead, they just kept popping one or two in the microwave at a time and ate them as a snack. 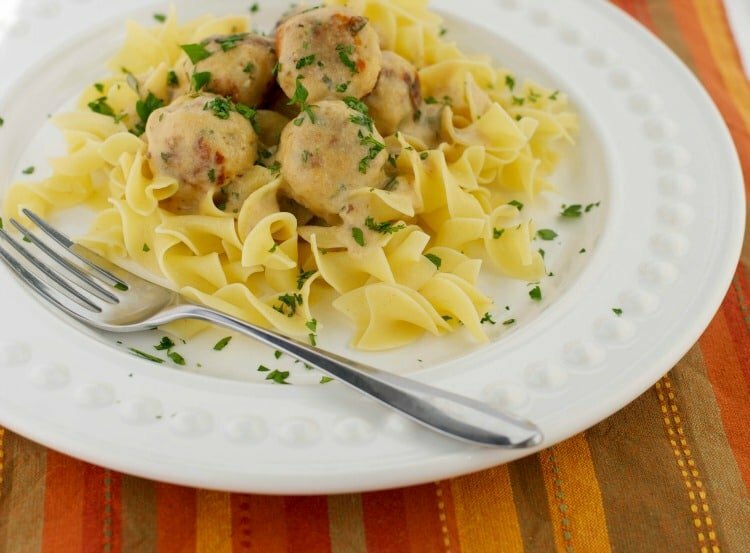 I just love easy to make recipes and this is one I’ll be making over and over again. ~Enjoy! 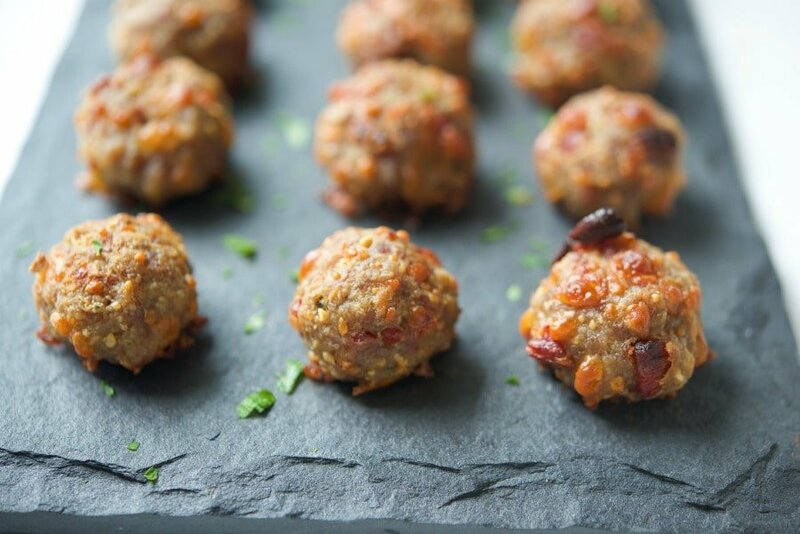 Combine all of the ingredients in a mixing bowl; then form 18 meatballs and line them on a non stick baking sheet or a pan lined with parchment paper. Bake for 30 minutes; then serve. 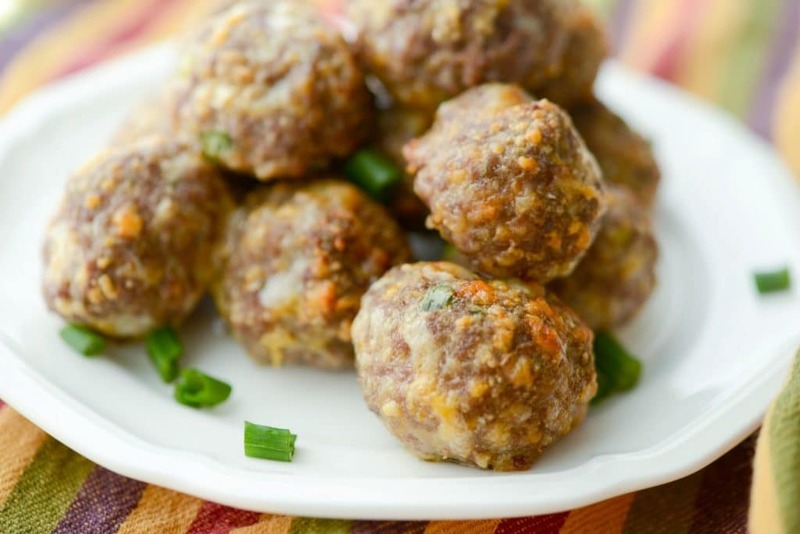 *You can also bake this in meatloaf form for 55-60 minutes. Thank you Edward! I’m so glad you enjoyed the recipe and we couldn’t get enough of them either!